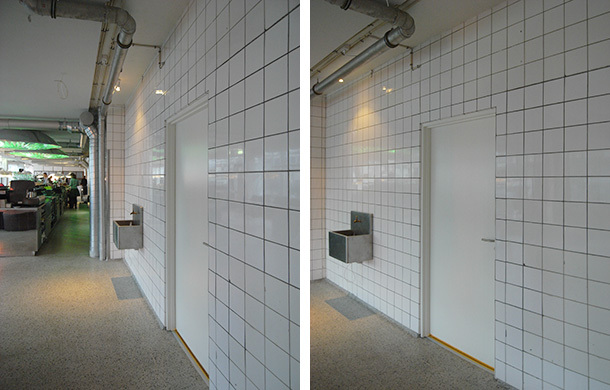 Passage is located in the far right restroom section of Karriere and consists of 4 identical corridors (A1-A4) each with 6 identical doors. 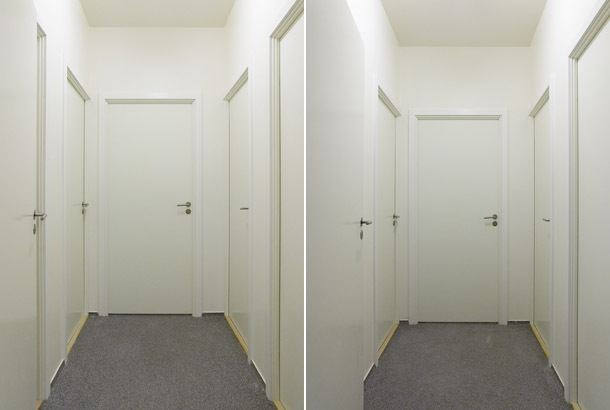 When a guest at Karriere decides to go to the restroom he/she enters through a door which connects the bar area with the end of a narrow anonymous corridor (A1) with 6 white unmarked closed doors, one door in each end wall and two on each side walls (see layout beneath). 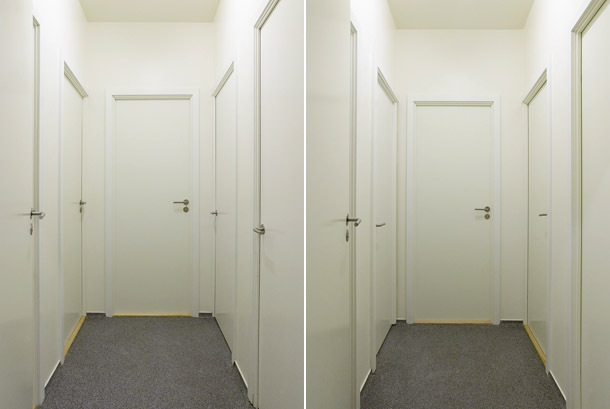 The 6 unmarked doors in each corridor connects to a restroom, to another corridor completely identical to the first corridor (A1) or is permanently locked. 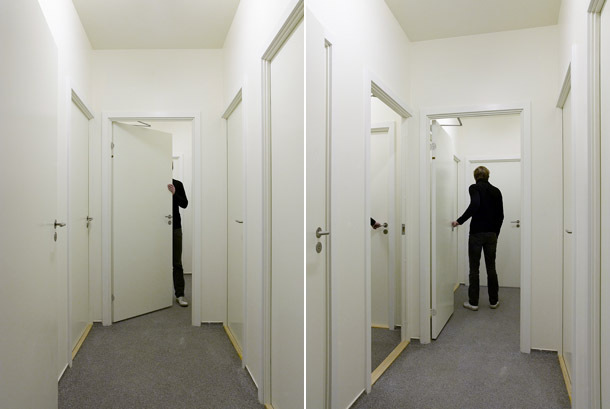 The unmarked doors creates a performative space which forces the subject(s) physically to examine the potential of the doors. Dependent on the number of persons and their actions the spatial setup will continuously transform creating a spatial disorder. 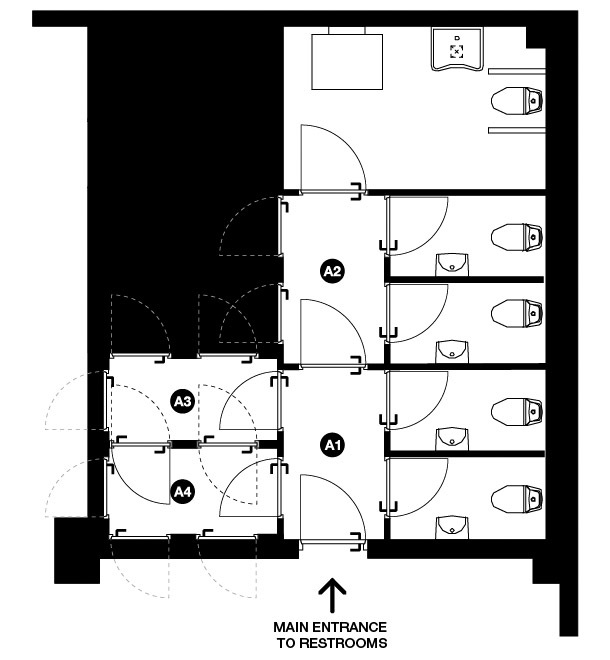 The layout discloses the position of the 4 identical corridors (A1-A4) and the adjoining restrooms and door to the bar/restaurant area of Karriere. The illustration opens as a Flash movie.